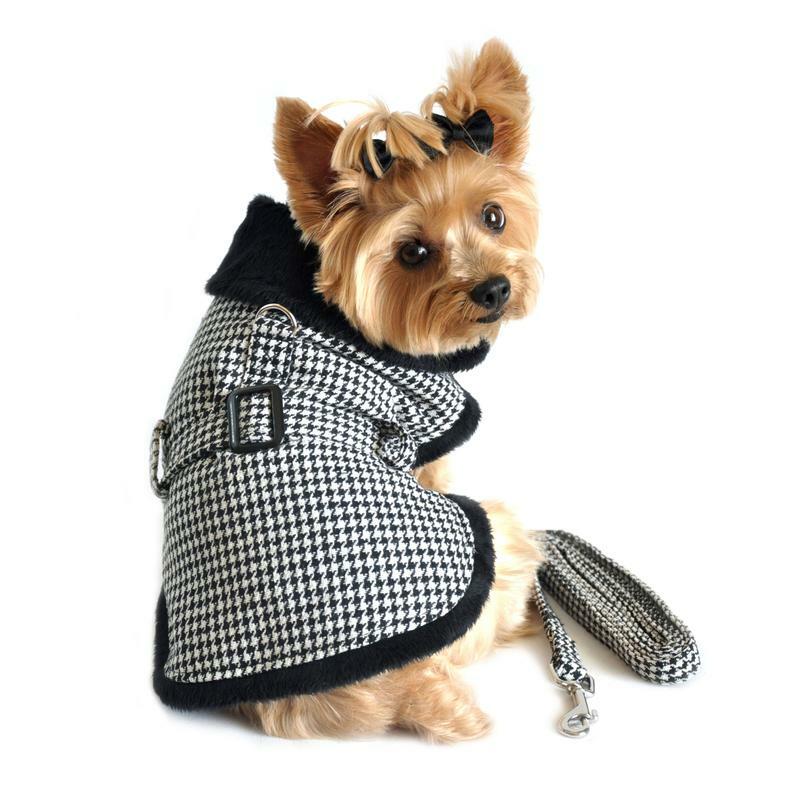 Dress in high fashion and warmth this season with the Black and White Classic Houndstooth Dog Harness Coat with matching Leash! 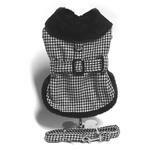 Your pup will be ready for the runway or the sidewalk with this stylish Houndstooth Dog Harness Coat by Doggie Design. 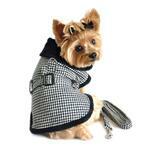 This classy dog coat features a classic houndstooth in black and white that's sure to get your pup noticed. The matching leash shows that your pup is perfectly poised and polished from head to paw. Black and White Classic Houndstooth Dog Harness Coat with Leash Customer Photos - Send us your photo! New purchase "King Ari" for his first Christmas 2018 he is 5 months old. This houndstooth coat with fur collar and keash is one of his two purchases from Baxterboo. When I put on this beautiful coat it was love at first fit. He struts and relaxes on my bed wearing his new gear. He absolutely Loves this coat. Posted On 12/21/18 by Sadie S from Indian Trail, NC Yes, Sadie S recommends this product! King Ari loves his new houndstooth coat with fur collar. He loves to walk and relax in his new coat. The fit is a true fit.